JACOPO ROBUSTI, who is better known as TINTORETTO (1519-1594), is the only Italian 16th century painter not to have had a major monographic exhibition devoted to his work. This exhibition focuses on the three main themes that distinguish Tintoretto’s work: religion, mythology and portraiture. It is strictly monographic and will be divided into sections comprising a handful of carefully selected and unquestioned masterpieces, beginning and ending with his two celebrated self-portraits of himself as a young man, from the Victoria & Albert Museum in London, and as an old man, from the Louvre. 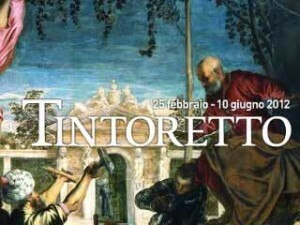 This exhibition is composed of some 40 paintings (accompanied by a section devoted to the artistic environment contemporary with the Venetian master), all of the highest quality and on loan from leading international museums and collections, offering visitors a tight but extremely significant overview of the artistic career of Jacopo Tintoretto.